Join the Danish Pavilion at African Utility Week (AUW) 2019 - the leading trade fair for the entire energy, power and water value chain on the African continent. 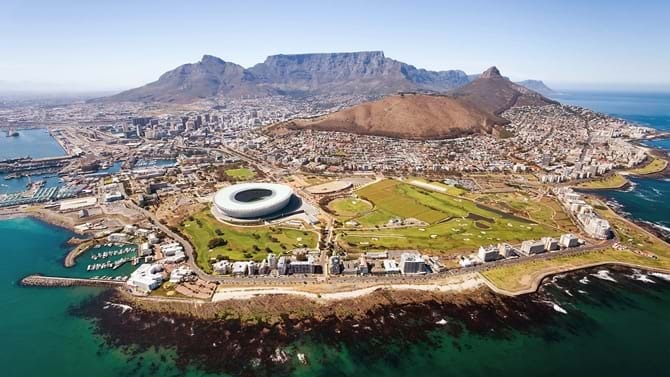 The Confederation of Danish Industry in cooperation with the Royal Danish Embassy in Pretoria are pleased to invite you to join the Danish Pavilion at African Utility Week (AUW) 14-16 of May 2019 in Cape Town. South Africa is the most well-developed country on the African content. With a new president in the country, large investments and new opportunities are expected – especially within green technologies in the years to come. The Government has already announced that it will invest more than USD 3 billion annually in developing smart and sustainable cities, with particular focus on water, energy and the built environment. The water crisis that struck South Africa in 2018 has also increased political awareness and willingness to invest in long-term water solutions. AUW attracts African utilities from the continent, and more than 7,000 decision makers from all over the world attend AUW. This makes it the leading and largest energy/power/water exhibition in Africa. For more, please see the invitation on the right-hand side. The Confederation of Danish Industry and the Royal Danish Embassy in Pretoria hope to see you and your company at the Danish Pavilion at AUW 2019. Price is for a 10 sqm turnkey booth and excl. VAT, hotel and travel expenses.